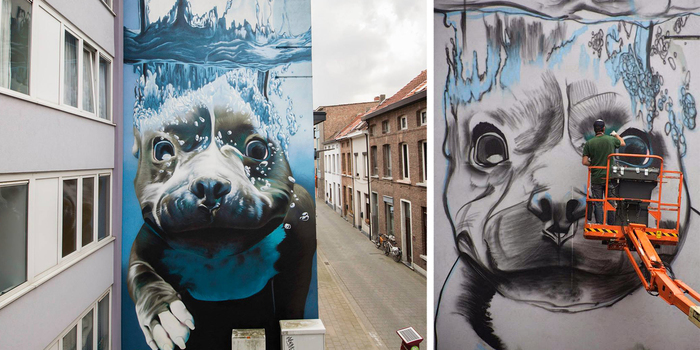 Belgium-based street artist Bart Smeets (a.k.a. 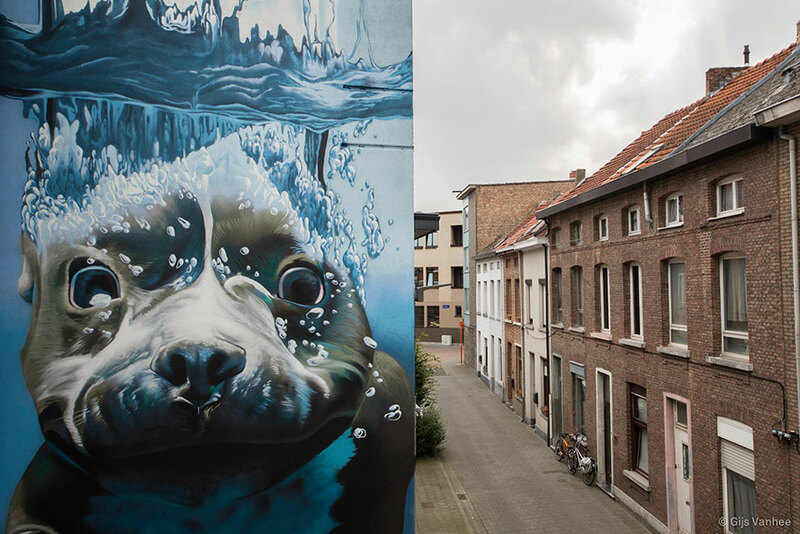 Smates) has created a beautiful and realistic mural depicting a larger-than-life diving dog that looks like it’s having the time of its life. 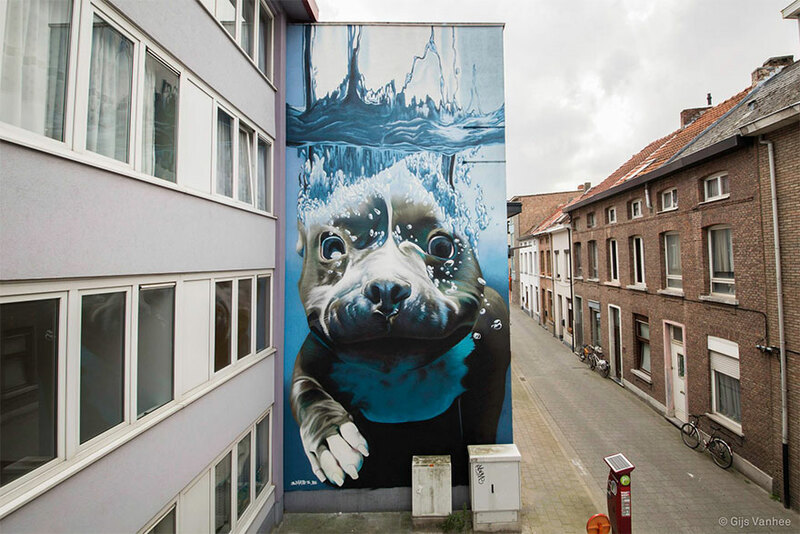 The 4-story mural, located on the side of a building in Mechelen, Belgium, is brimming with joy and enthusiasm. The image feels like a fresh splash of water on the face, which seems especially refreshing given its boring urban surroundings. 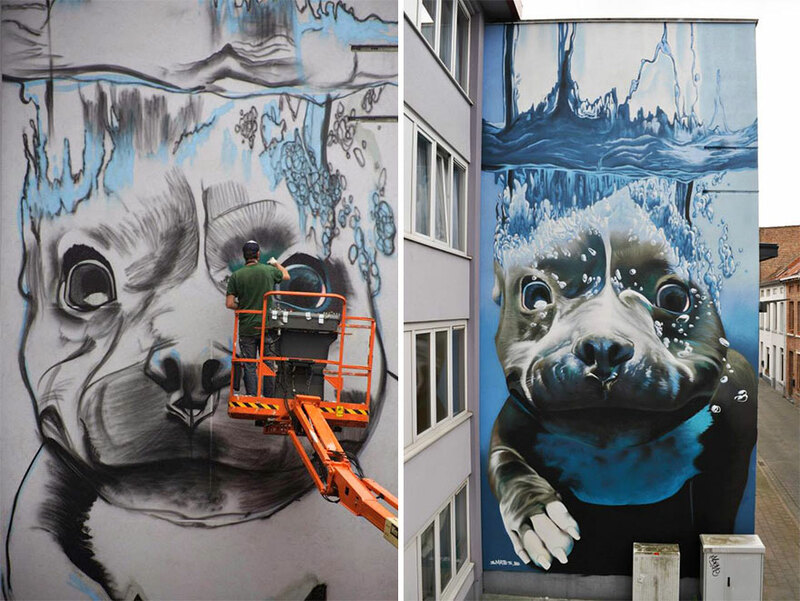 I wonder if his mural was inspired by Seth Casteel’s awesome underwater dog photography – certainly looks like it could have been! 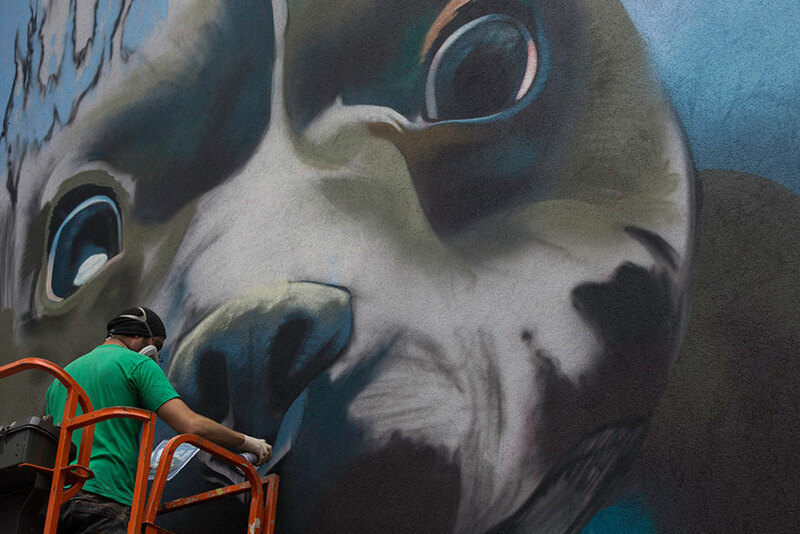 UPDATE: It turns out that this mural was actually based on this awesome photo by Karen Dillabough. Fun and adorable! I wish we had more of those murals around my area.